So, wondering why your new Windows 8 PC is taking so long to start up in the morning? The culprit might be one of your startup programs—that is, programs on your hard drive that launch the moment you hit the power button. The Windows 8 Task Manager has a nifty feature that not only lists all the programs that launch when your system starts up, but also rates the “impact” they have on your PC’s startup speed. Now, some “high” startup-impact programs will probably be ones that your system can’t live without—like, for instance, the “Rundll32″ application, an essential Windows app that helps other Windows program access shared “libraries” of computer code. Others, however, may be programs that you forgot you even installed—and now they’re sitting on your PC, launching themselves whenever you start your system and gobbling up precious system resources. So, ready to put a leash on programs that are slowing your system right out of the gate? Not sure what a specific startup program does? Right-click its name to get more details. 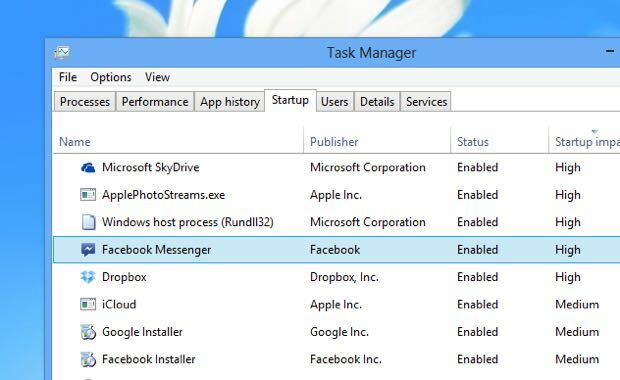 To launch the Task Manager, just start typing “Task Manager” from the Windows 8 Start screen; you should see the Task Manager sitting at the very top of your search results. 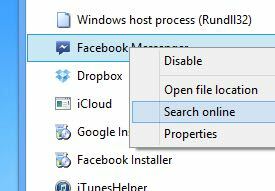 If you’re already in the “classic” Windows desktop, just press and hold CONTROL + ALT + DELETE and select Task Manager from the menu. If it isn’t already, toggle the “More details” setting at the bottom of the Task Manager window to reveal a series of tabs at the top of the windows, then click the “Startup” tab. Change your mind about preventing a program from starting when you power-on your PC? Just open the Task Manager, select its name under the Startup tab, then click then Enable button. Note: This updated tip was first published in June 2013.